It was a perfect day for the open day and BBQ at Quartz Hill on 4 February. It was a magic day with sunshine, blue skies and no wind! A total of 28 visitors turned out for the event. ABOVE: The infamous group photo (from left to right) - Brian ZL1AZE, Bob ZL2CA, John ZL2JDB, Mike ZL2BCW, Richard ZL2TCU, Petr OK1FRG (squatting), Ralph ZL2AOH, Bob ZL2AMI, Mary Marr, Sarah Marr, Tony ZL2AGY, Andrew Cowie (kneeling), Todd ZL2SP and Bianca (on shoulders), Bronwyn Johnson, Tony ZL2ALJ, Pam (ZL2ABC's partner), Bruce ZL2ABC, Frank ZL2TTS, Wilbert ZL2BSJ, Doug ZL2AOV, Gordon ZL2WGB, Bill ZL2OH, Dawn Barclay-Hopkins. Other attendees not in the photo - David ZL4TAC, Sandra Parish, Colin McKenzie ZL2COL, Michael Fletcher and Justin Cook. The club was delighted to have Petr OK1FRG join the event. Petr has been traveling around New Zealand by bicycle and decided to take a break from his itinerary to check out the Open Day. Petr conveyed greetings from the OL4HQ contest club, including the presentation of a cap carrying the club's callsign. Inside the building there were several items of equipment on display. Wilbert ZL2BSJ exhibited a new impedance bridge that he is building, as well as exposing the innards of his linear amplifier. Ralph ZL2AOH displayed an original telegraph office 'duplex' key complete with TX/RX switch. 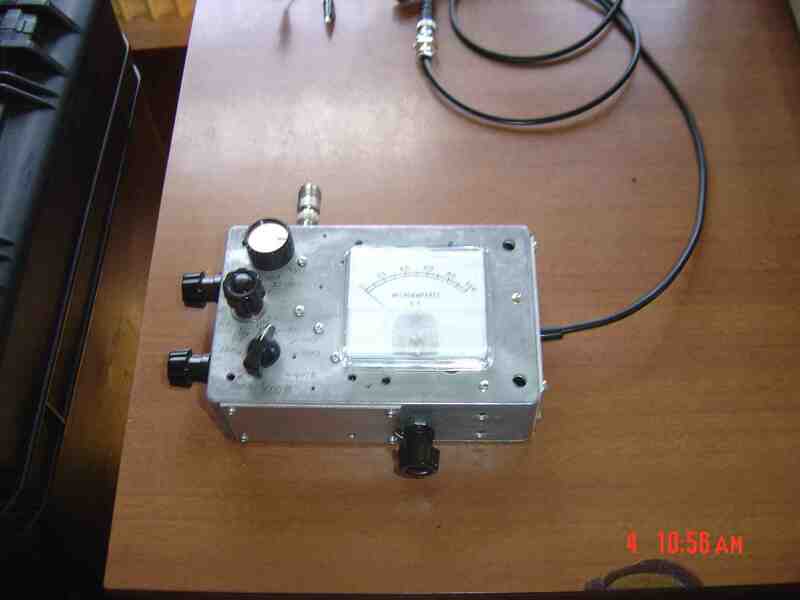 Richard ZL2TCU proudly displayed an antenna tuner that he has recently built, along with a demonstration of some satellite software. The club's Ameritron AL80A linear amplifier, with a brand new steel cover (thanks to Malcolm ZL2UDF) was also on display. The club's FT1000MP radio was set up in for checking out the HF bands in the 'A' operating room. 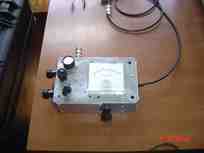 John ZL2JDB used the radio and the NA LP vee beam to conduct a regular sked with VK colleagues on 20M. Outside, many of the visitors took the opportunity to explore the antenna farm and admire the fabulous views. For the more adventurous, Bruce ZL2ABC was offering free rides in his 'Red Terror' racing kart. Evidently some new speed records were set at the dip in the road below the building! It was too good a day not to deal with some maintenance activities. Before heading home, Bruce ZL2ABC applied his handyman skills to the replacement of a broken window pane on the Eastern side of the building, and Brian ZL1AZE completed a maintenance audit of the antenna farm infrastructure. Below are some photos of the various activities at the Open Day. ABOVE: Bruce ZL2ABC admiring his "Red Terror". ABOVE: Petr OK1FRG tries out the "Red Terror"
ABOVE: Pam claims that she is the oldest driver to survive a ride in the "Red Terror"
ABOVE: ZL6QH on a GOOD day! ABOVE: The equipment displays attracted a lot of interest and discussion. ABOVE: Petr OK1FRG checking out the HF bands at ZL6QH. ABOVE: Ragchewing and lunching was the most popular activity! ABOVE: A look underneath the cover of ZL2TCU's homebrew tuner. ABOVE: On the left is an original 'duplex" telegraph key in mint condition, displayed by Ralph ZL2AOH. Alongside it is the club's AL80A linear amplifier, proudly displaying a brand new steel cover (fabricated with the assistance of Malcolm ZL2UDF).